Change up your fruits to whatever you like and cake! If you're not a big fan of blueberries or strawberries, try cherries and blackberries or raspberries and blue grapes! 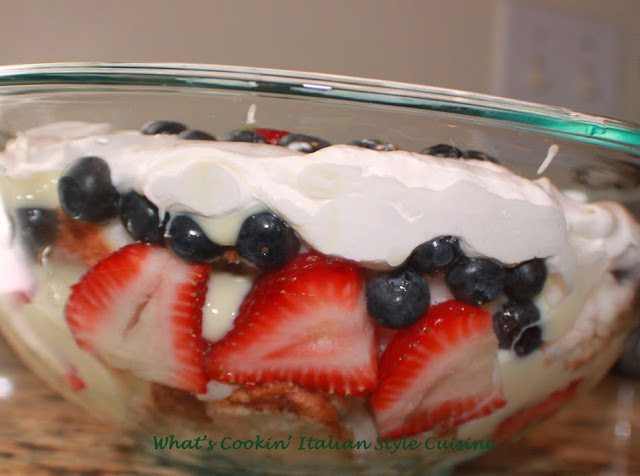 You can make this anyway you like fruit wise, just try to keep your colors Red, White and Blue! I have used store bought pound cake, chocolate or vanilla cake, brownies or angel food. There are plenty of frozen of fresh cakes already made to make it easier! If you use the chocolate one just sprinkle fruit on top and raspberries and blackberries taste the best in my opinion. Of course you can make your own if you want or use store bought, but this recipe is totally a no bake recipe. So you were invited to a quick get together and need something fast? This is it! The quickest and easiest trifle dessert possible. All in one bowl with the easiest ingredients. 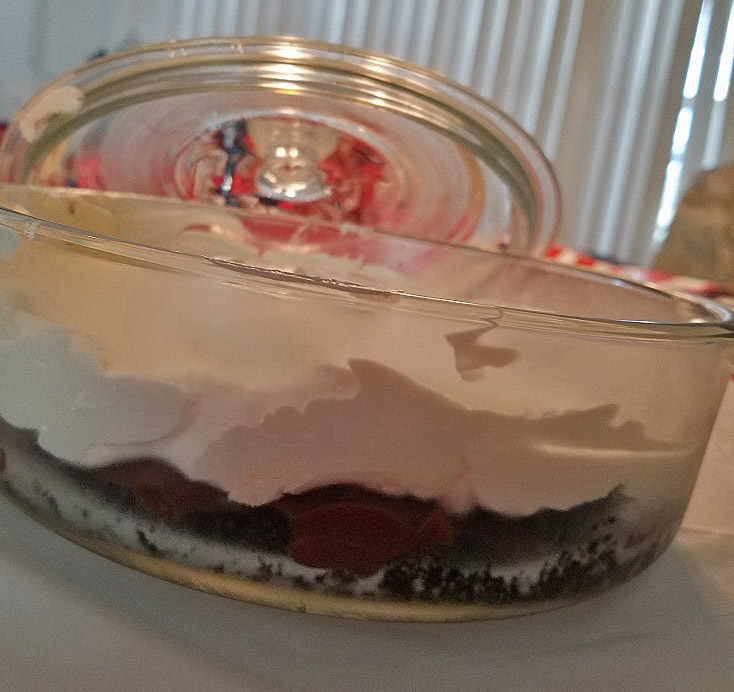 This Patriotic trifle with blueberries and strawberries shout festive and the cream in the recipe keeps the party color theme perfect. The best part about this? It's all store bought and NO BAKE! What can be easier than this dessert? Nothing! A colorful way to decorate the Patriotic themed table! It's the perfect dessert for any 4th of July picnic, event or party that taste great with no fussing! Oh and one other thing you can use a chocolate cake or brownies too, it come out awesome! In a clear bowl, break up your cake and place some on the bottom. 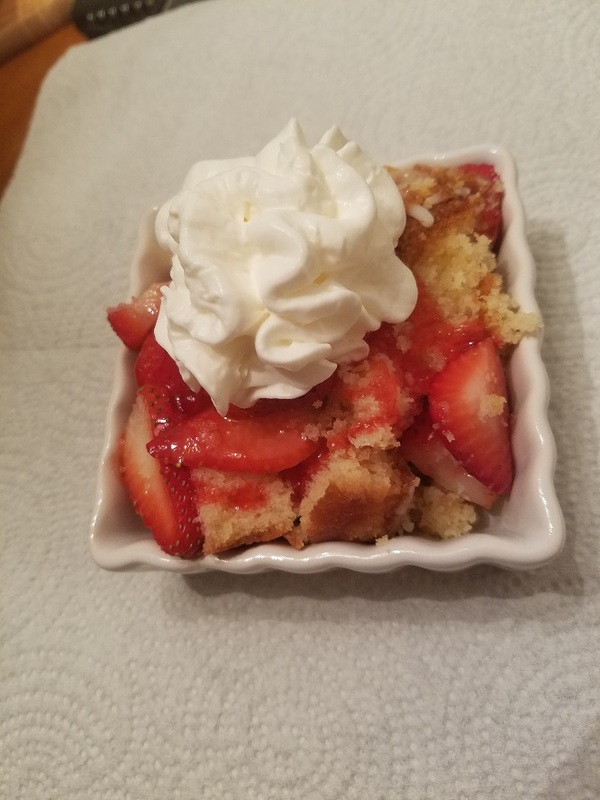 Now line the outside of the bowl with sliced strawberries so you can see them, add a few on top of the cake in the bowl. Spread the pudding on the cake and strawberry layer. Add more cake, sprinkle the blueberries along side of the bowl, some on the cake, more pudding on top. Last add the whipped topping, garnish with more blueberries and strawberries. There you have it! Quick easy and everyone will love it! You don't have to be a cook to make this recipe! This is the easiest dessert I make and everyone really loves it. It's festive, vibrant in colors and very delicious. 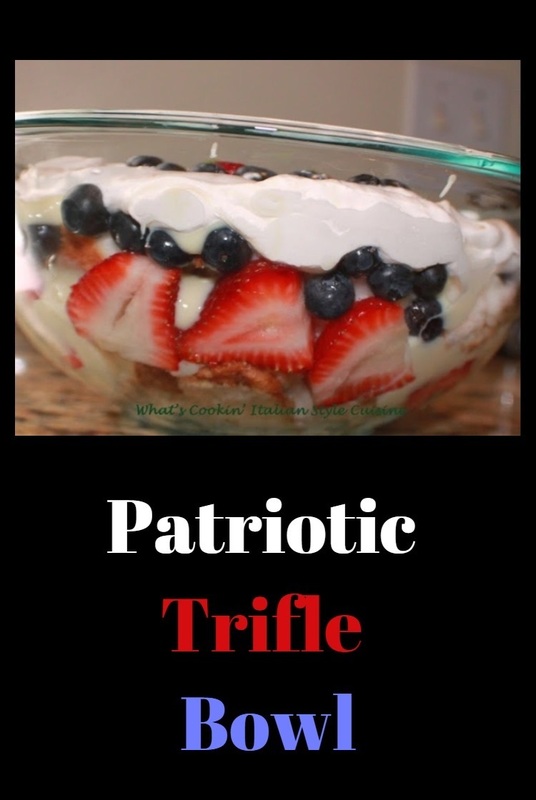 Give a try you won't be sorry and your guests and family will love this Patriotic Trifle and Blueberry Strawberries and cream dessert.